In our tradition of posting up the world’s best business cards comes this one from Mr. X*. 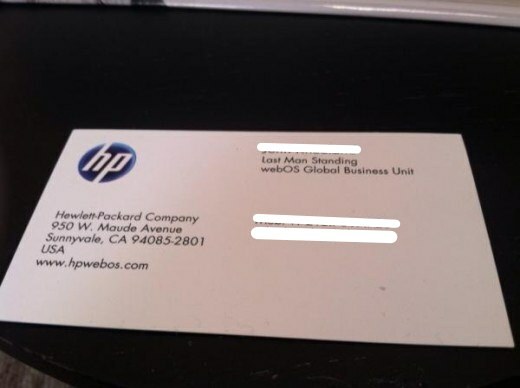 Mr. X is in Developer & Community Marketing at HP’s webOS division. As you can imagine, he’s probably feeling a bit beleaguered as HP still tries to make up its mind on what to do with webOS. To pass the time, Mr X decided to set his own job title while he still has a chance.